Wilderness travel involves a degree of risk. Minimizing these risks, while feeling confident in your ability to deal with any potential injury or illness, is part of the challenge and satisfaction. 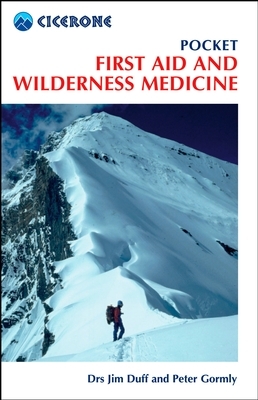 Pocket First Aid and Wilderness Medicine provides the basic information on a multitude of medical problems but is still small enough to take with you whenever you need it. Cicerone. The guide is separated in to three sections, starting with “The fundamentals”, so essentially what do do when attending someone in need of help, what to look our for, how to position them, what to do first, and help aid those crucial decisions to avoid getting yourself in to danger and give the victim the best possible care. The next section “Accident and Illness Protocol” gives a simple to understand guide to what to do when you approach and deal with an incident. I found this area very interesting as essentially what you do first is very important and it covers all kinds of scenarios well. It also covers evacuation, something I really didn’t know anything about! The final section “Problems and their treatment” gives you an in depth treatment plan for when you know what the problem might be. Again looking for symptoms and signs, and how to deal with them when you see them. Diagrams in this section, although simple, also very helpful. The appendices at the end of the book cover lots of useful information, contacts and other sources of information, but the advice on the first aid kits was a great help for me. There are also two very simple and easy to understand diagrams near the front of the book, one covering the skeleton and the other detailing internal organs, a really handy reference tool, incase you forget where something is. The layout of this book is very good and the colour tabs really help you to navigate through the book quickly. 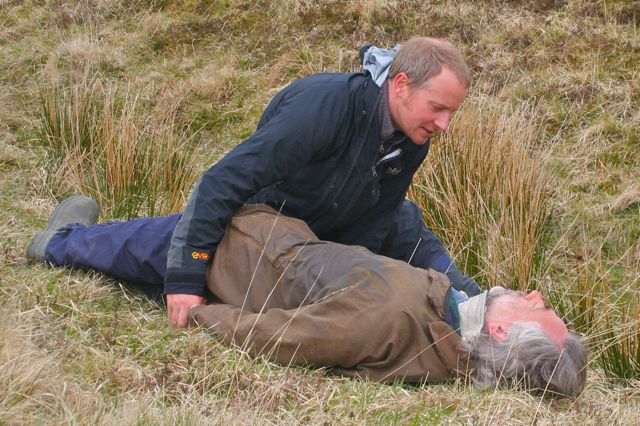 Even if you complete an outdoors first aid type course, it is invaluable to have something to refer back to after the course and for quick reminders in-between courses. As well as first aid advice for any trip, e.g. on bites and stings, or food poisoning, contained in the book the sort of advice that you hope to never have to put into practice, but having the knowledge contained within the book could really make a difference. This book has a RRP of £9.99. For a book containing so much information, which can be used on every trip you ever go on, I think the price is really good! If you head into the outdoors on a regular basis, this book should be going with you. In fact, it is a handy book for anyone to have whether at home or travelling overseas. It’s a very handy size, and I have caught myself delving in to it regularly to check my own understanding of what to do with an injury, preventing sickness getting worse and giving advice to others. I am fully qualified in “Outdoor First Aid” but having a backup, to double check decisions, is always a good idea! In simple terms, this book could save a life…. maybe even yours!